The window for viewing the Northeast’s stunning fall foliage is a small one, but it’s a bullseye you’re going to want to hit. If you can catch the colors at their peak, you’re in for a treat: Mountains and hillsides clad in flaming reds, oranges, and yellows. Trails get wreathed in an almost-glowing tunnel of color. 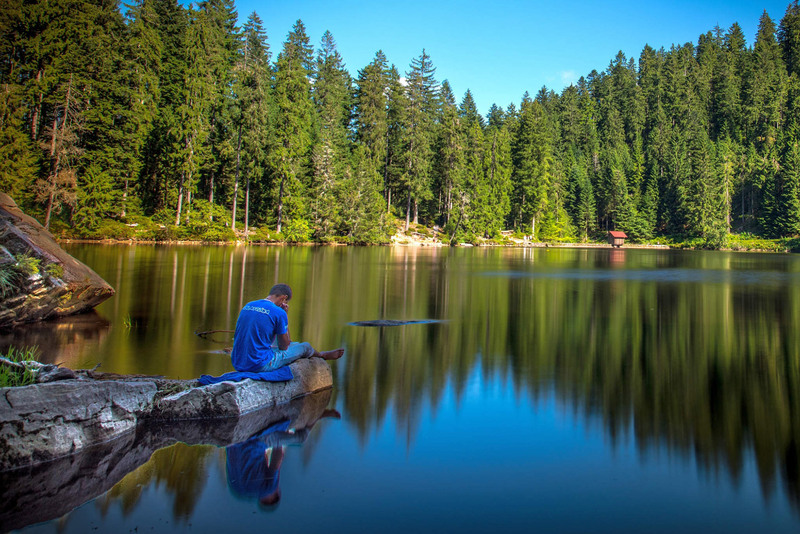 And, lakes and ponds become muted blue islands in a sea of vibrance. But, peak foliage happens fast, and to maximize your time out in it, you’ll want to know exactly where to head when it crescendos. Try these spots, recommended by our network of expert contributors, no matter where you are in the Northeast. 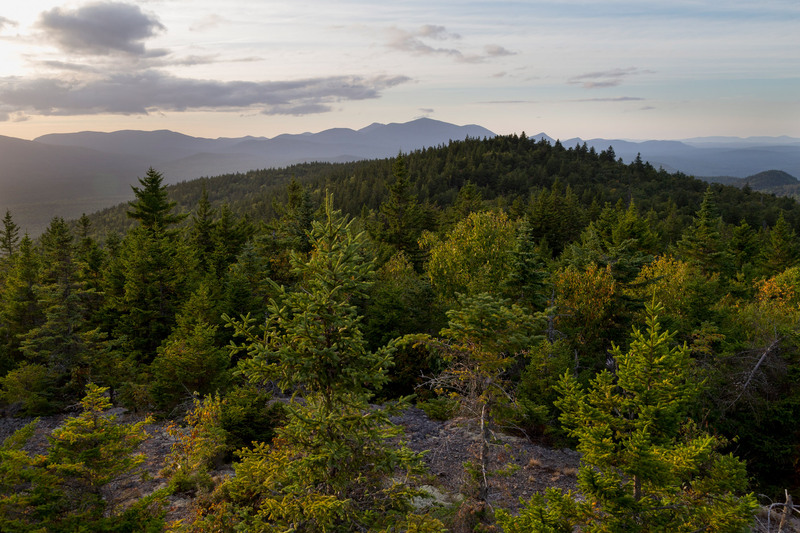 Trek back to the high point of one of the nation’s newest National Monuments for panoramic views of Katahdin, the East Branch of the Penobscot, and the seemingly bulletproof Maine Woods, draped in vibrant colors. 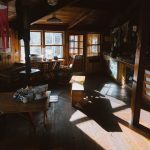 This 11.2-mile out-and-back winds from the dead end of a former logging road and past glacial erratics among hardwoods before climbing steeply to the rocky summit—complete with a ground-level observation tower to hunker down in. As a tip for your way up, driving through Katahdin Woods and Waters National Monument is just as exciting as hiking through it. Offering great views of the valley and the southern White Mountains, this 4.5-mile loop located in Thornton, NH is perfect for fall foliage peeping. 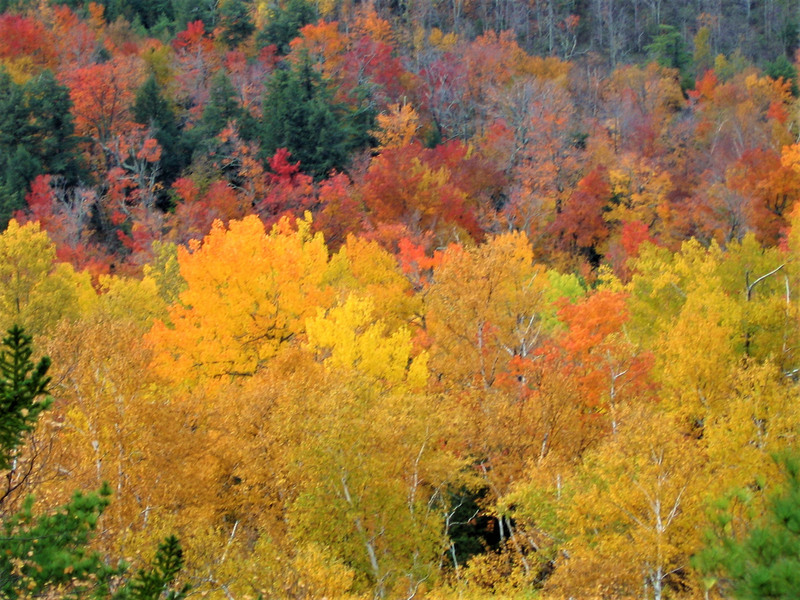 This moderate trek further allows the average hiker to truly soak in all of the fall colors the state has to offer. Most recommend completing the loop counterclockwise, following the trail up Welch Mountain first and then onto Dickey—perfect for peak bagging and leaf peeping! Located in Groton State Forest, Owls Head offers arguably one of Vermont’s best views. A great aspect of this hike is its accessibility. Whether you’re introducing kids to the great outdoors or looking for a pet-friendly trail, it’s sure to please any visitor. Why do we love it in autumn? One look from the summit at Kettle Pond’s contrasting colors against those fiery fall leaves would leave even Ansel Adams speechless. 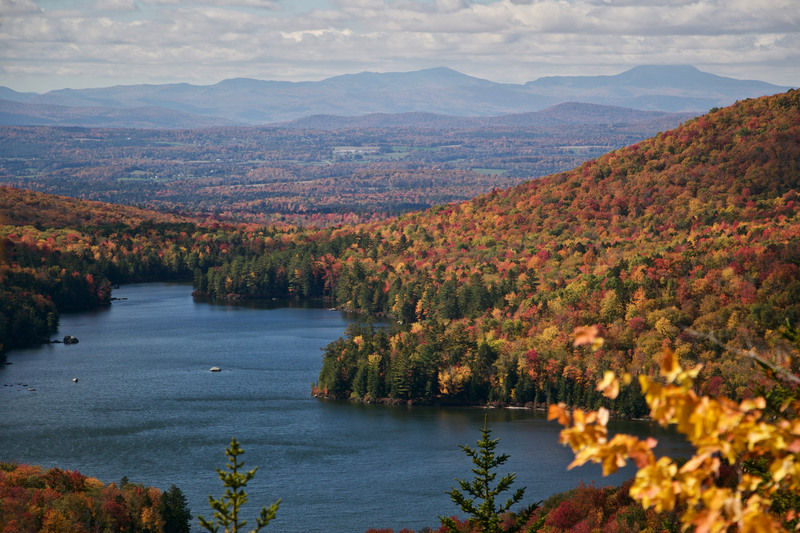 This Saranac Lake 6er is a must-hike in all seasons. 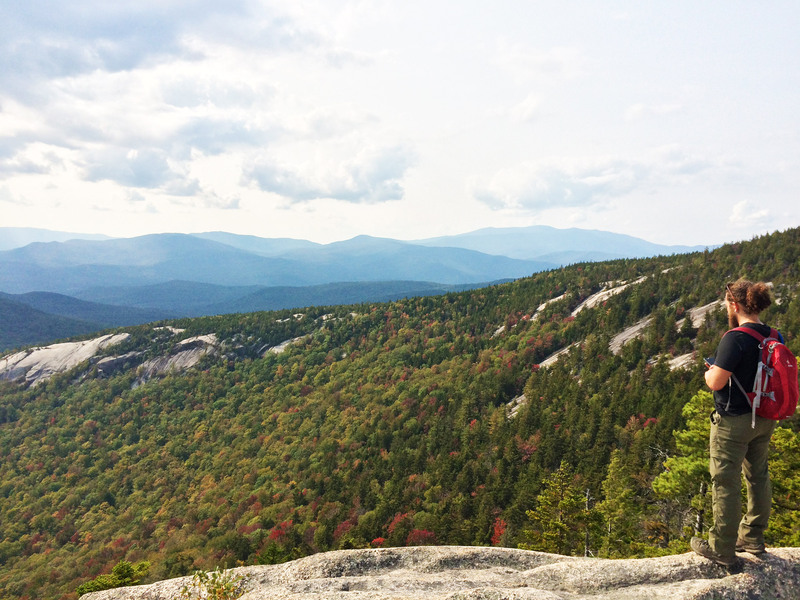 Ampersand is a 5.4-mile round-trip hike through the woods, culminating in phenomenal views from its bald summit. A beautifully made rock staircase helps you ascend the trail’s steep sections, and there are a few scrambles as you approach the summit. But, the views from the top are more than worth the effort. 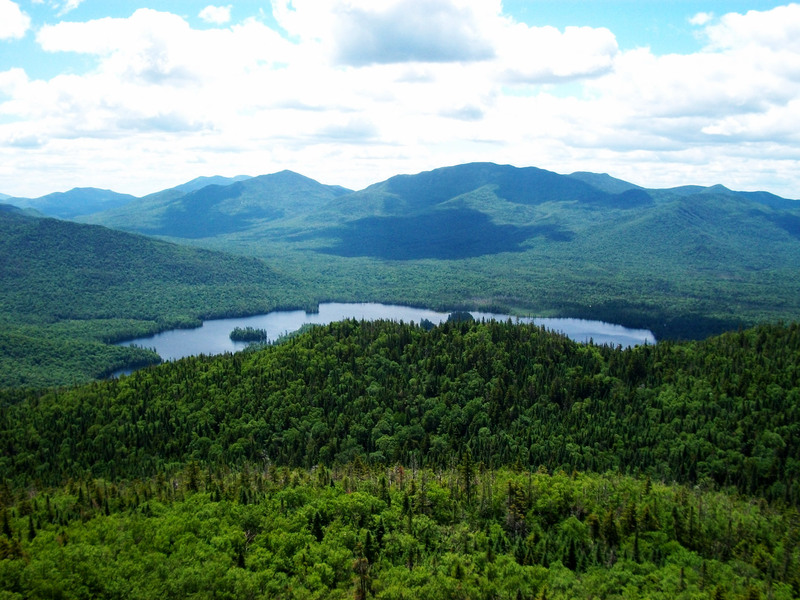 On one side, the Seward Range and Ampersand Lake look deep into untainted Adirondack Wilderness. On the other, the Saranac chain of lakes is cloaked in vibrant colors. Start early and bring lunch, so you can take your time and enjoy all the summit has to offer. 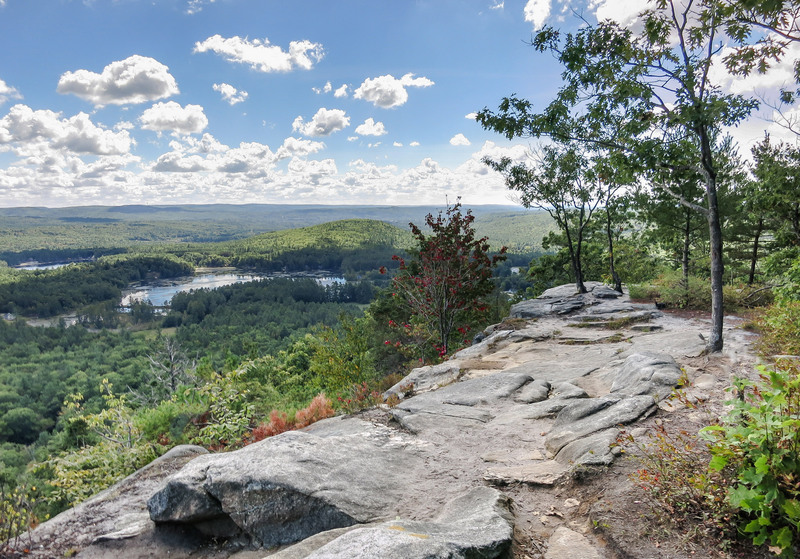 Take your pick: Hike Tully Mountain for foliage-soaked views stretching from Mount Monadnock to the Quabbin Valley, or take a more gentle stroll around Tully Lake to have a look at Doane’s Falls, where Lawrence Brook tumbles down from the surrounding ridges. Or, if you’re feeling really ambitious, backpack or hike the entire 22-mile Tully Trail, as it loops through its undeveloped namesake valley, filled with vibrant color. 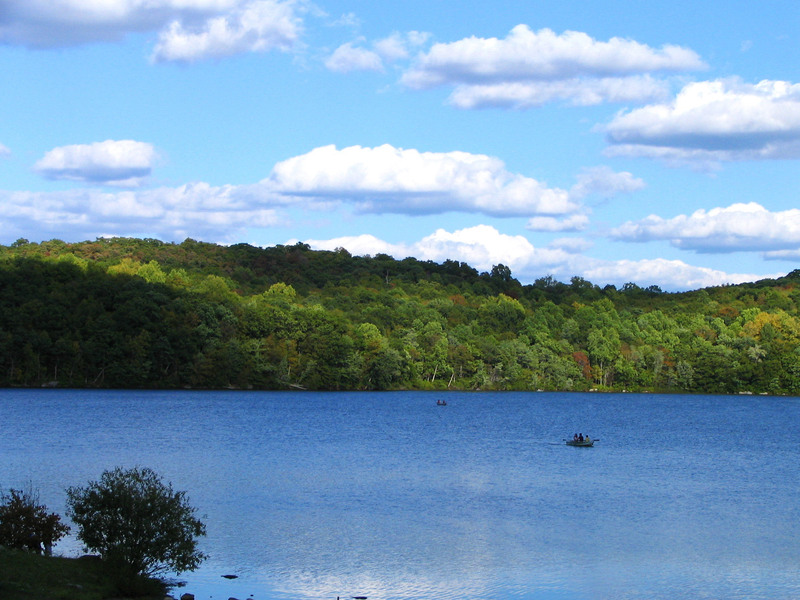 Nestled in Hamden is a hidden gem for outdoor enthusiasts. 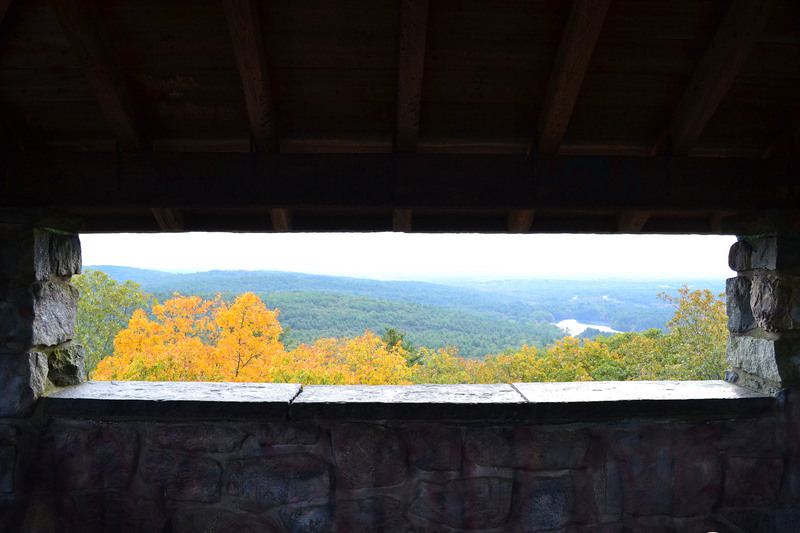 Sleeping Giant State Park is home to a variety of trails and climbing routes to explore, but the ever-popular Tower Trail is definitely one you won’t want to pass up, especially during fall foliage season. This three-mile round-trip hike leads you right up the Giant’s Head. As a note, the park is called Sleeping Giant because, from afar, the mountains look like a giant sleeping on his side. The exposed outcrops allow you to look as far south as the Long Island Sound, and sometimes, especially on extremely clear days, you can make out the faint New York City skyline. Don’t stop there, though. Continue on the blue trail until you reach the stone castle! Then, climb to the top to take in the beautiful sea of reds, oranges, and yellow. Bonus: This is an epic sunrise spot, too! Ell Pond is the rare area of geologic undulation in the otherwise-flat Ocean State, featuring rocky, exposed ridges separated by Long and Ell Ponds tucked into deep gashes. Any one of the bedrock escarpments offers views down into the lakes and the red maple and white cypress that surround them. Follow the Long Pond Trail from Canonchet Road along Long Pond. Then, walk between it and Ell for views down into both bodies. 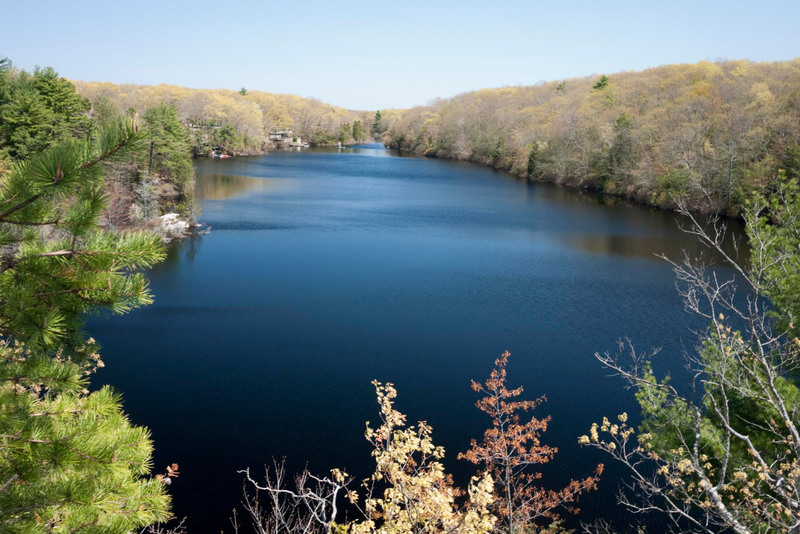 If you are short on time but still want to sneak in a hike to get some great leaf-peeping views, a trip to Ringwood State Park is what you’re looking for. 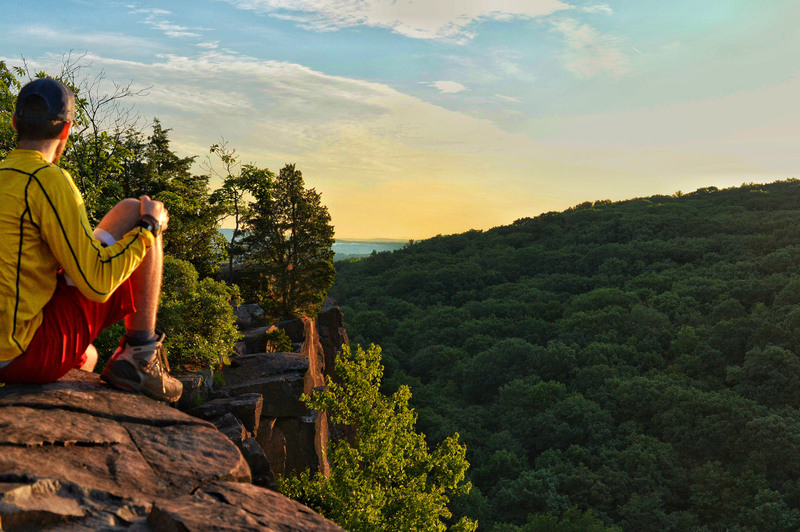 Ringwood is nestled in the middle of the Ramapo Mountains on the New Jersey-New York border, offering access to miles of hiking and biking trails. The view of hardwood forests surrounding the pond right from the parking area is a great way to jump-start the 3.5-mile hike. 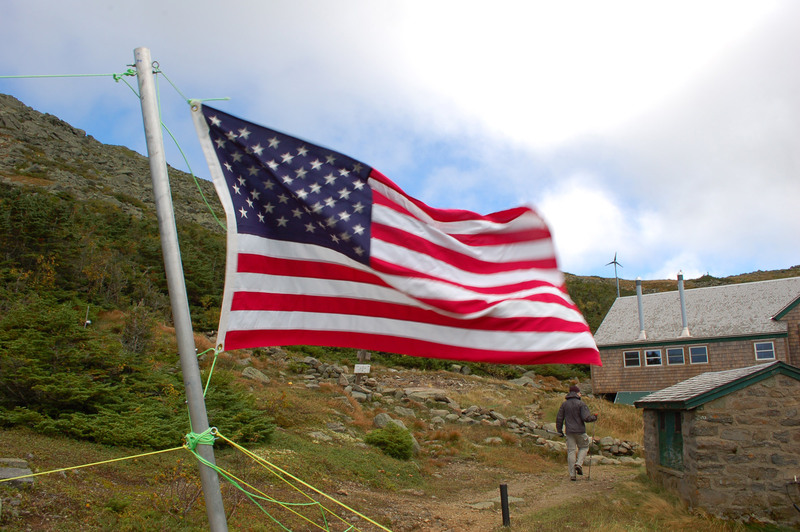 Take any combination of carriage road and single-track trails up towards the 1,040-foot summit of Mount Defiance. Along the way, multiple rocky outcroppings give you views of the surrounding hills. This area of New Jersey is not as developed as most people think, so expect to see lots of color in the thick canopy. However, the best view is not actually right at the summit but instead about 350 feet south. 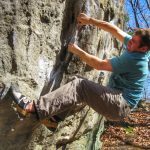 If you descend the west side’s steep trail, you will be able to explore Skylands Manor, also known as the New Jersey Botanical Garden, before making your way back to the car. 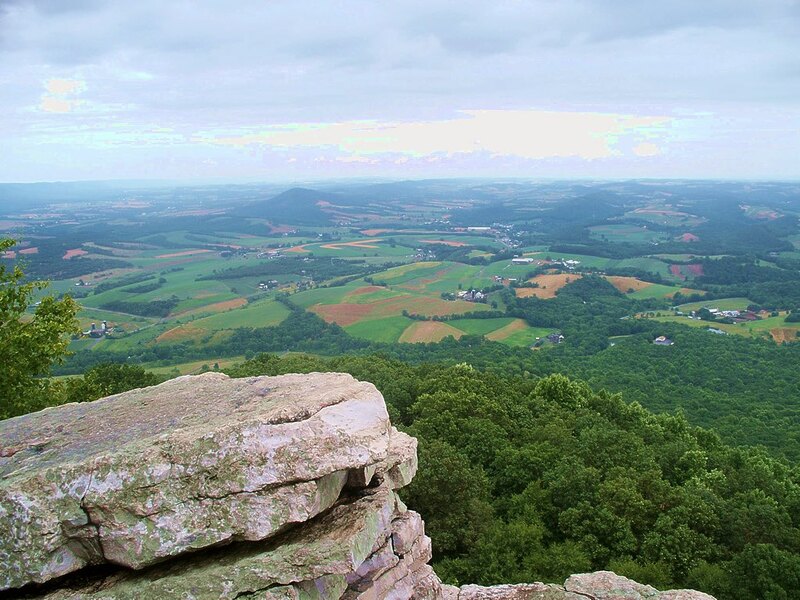 The top viewpoints along the Pennsylvania section of the Appalachian Trail are perfect for experiencing peak fall in Appalachia. Over a nine-mile loop from the Hamburg Wastewater Treatment Plant, you’ll climb 1,300 feet along the AT to both summits, before following Furnace Creek back to your car. From both summits of this two-fer, take in the colors of the Lehigh Valley and surrounding ridges, speckled with vibrant hemlock.